Discussion in 'GPS Tracks - Central, Texas & Gulf States' started by OKlr, Oct 25, 2012. 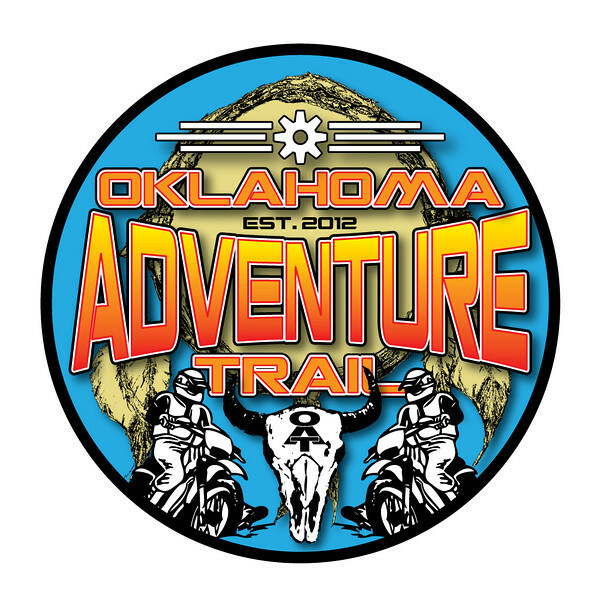 This thread will be used for us to build the "Oklahoma Adventure Trail" If anyone would like to help with any section either by scouting or giving feedback on better routing it would be much appreciated. The trail started as an idea of Dadayama and mine. We had the idea of a large ride that would encompass the state and stop at a bunch of interesting sights along the way avoiding major roads and towns. After a couple weeks of emails we had a good list of things in Oklahoma that we both thought the route should go by or through. Then started the planning. After a couple months of planning routes based on county maps and Google this thread was started. The goal of this route is to have an ever changing flexible ride that a person could start or finish in any location. This is an open share ride, no charge for the file. We just ask that if you ride the route you post up any findings about closed roads, better options on routing, and pictures. Most of the route is mapped using Garmin Basecamp, a free download available here. You may also want to download the free oklahoma topo maps availablehere. The OAT logo was designed by DirtyDog who is a very talented designer. CAUTION: Some areas of the trail are remote and rough. If you download this route you are doing so at your own risk and no contributor is liable for your poor judgement or accident. Please research all areas you plan on going before you attempt it. This is especially concerning the K-Trail section in SE Oklahoma and the multiple water crossings scattered on the trail. Please ride within your abilities. DOWNLOAD BY RIGHT CLICKING THE LINK AND SAVE AS. 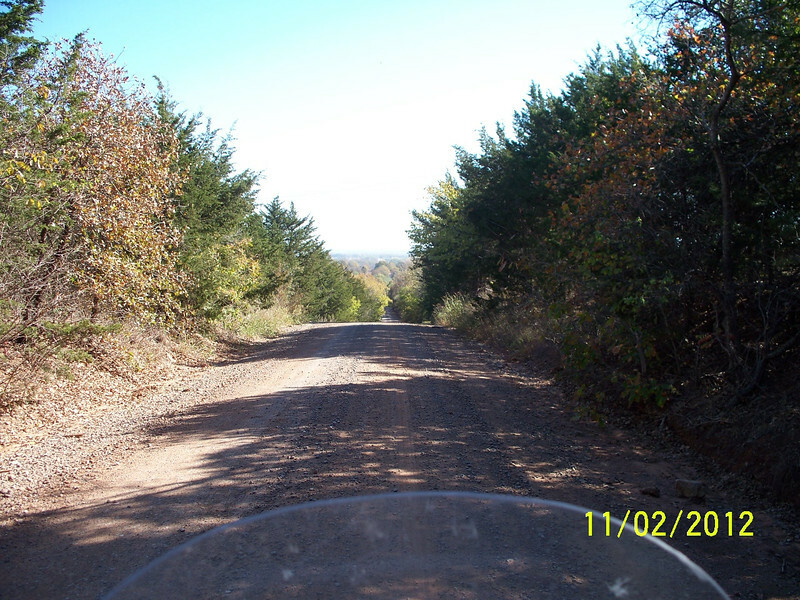 I got off the couch today and rode some of this Oklahoma Adventure Trail route. About 85 miles of it from just south of Rush Springs to Hwy 177 south of Sulfur. The Badger Den Cafe in Elmore City makes a really good burger, used fresh ground beef to make the patty instead one of those standard frozen kind. Good ride, never really got lost. The GPS track was easy to follow. Maybe 20% of that was good gravel roads, "good" gravel meaning loose gravel but not deep loose gravel. Took a camera but didn't take any pictures. It's going to take more than a couple of days riding to do the entire loop, even though what I did today was easy riding I wouldn't want to do it in the dark. But I got started late and headed for home a little earlier than I needed to. It does intersect a lot of major highways so plenty of choices on where to bail out or look for a place to spend a night. Thanks to OKlr for a fun day. Perp and mframe like this. I will update the route and take out the gated road. Thanks for the help. as soon as I get my dr rolling, Ill see about some on those northern tracks. I might need some help with selecting a good gps though; Ive historically been more of a blacktop rider. bill, what gps are you using to load the routes too? I have a Garmin 2610. Antique and old maps but a very good GPS. I did convert the portion I rode from a 'Track' to a 'Route'. Just was easier to do at the moment, I also rode it backwards, if I would have thought ahead more I could have reversed it in Basecamp before sending it to the GPS. Something for riders to think about before taking off. If I let the GPS recalculate while partway through the ride it would throw away what it considered behind me which was actually in front of me because I was going against the grain (normal in my life ) so sometimes the displayed route didn't lay exactly on the road. But it was still easy to reload the original from GPS memory. Might be an issue in eastern Oklahoma though. BTW I rode the 800GS, the KLR would be great for this ride. Or any bike/rider that is not too uncomfortable on gravel. My son would have been perfectly happy on the Goldwing except for one 1/4 mile downhill A lot of the roads would start from a main highway as pavement and then go to gravel for a few miles and then back to pavement as it got closer to the next main highway. I looked at those county road maps that Abbotson posted and they seemed to be pretty accurate as to road surface. Just for convenience I'll post that link here. It would be pretty easy to print out the maps you wanted to ride, highlight the route on paper and ride without a GPS. Went out and rode a little more today. Picked up the trail just north of Perkins, followed it to Cleveland. I planned to go farther but ran out of time, rode about 60 miles of the trail. Good ride, lots of loose gravel, nice to follow the Cimarron River for a ways. Did you run into any gated roads? No, that entire section is all well cared for county roads. I did skip the loop that goes by Frog Rock though, I've been by that several times. just downloaded the gps info and it is very well done. thanks. I added an alternate route (track) in the NE quadrant. It takes you through the Nickel Preserve. I can't download the gps track to locate whereabouts in the salt plains state park you go, but on the east side of the park there is access to the salt flats. Go south from Cherokee(hiway 58, 64) 4 miles, turn east on county road E0210 12 miles, there is a wide 1 mile access road the area where you dig for salt crystals. the restaurant in downtown Cherokee has a good breakfast. South of the lake is a free campground with water, restrooms, tables and firepits(lotsa wood available). North from Jet 6 miles(hiway 38) to the first curve, pavement goes east, road to camp entrance is west of the cedar fenced residential area, go past campground sign north for a short mile on a 2 track dirt road. I see the Oklahoma Rally in your future. What type of rally are you thinking? I can't download the gps track to locate whereabouts in the salt plains state park you go. Here is link to google maps for the route around Salt Plains. i think it would be a blast to do the whole thing as a rally. ride the route at the speed limit get an average time and see who can get the closest to that time. test peoples endurance and ability to "Find the Way", the French translation for "Rally". you would loose points being too early or too late. bivouac at night in designated areas. one of the events i helped put on. it's geezerville in action here, found my 2008 disc of garmin city something and loaded it on a fresher computer to use it with my vintage 2610. neat route you guys are putting together, and thank you for the link to the google map. Shawnee Bill, how did you get the short link to the google direction map? I downloaded your file, will check it out later when i have time. Got family over right now. Since i have never rode up that way, i was kinda playing it by ear on that part of the map. If you want to map out that section on something (basecamp, google, paper maps i don't care.....) then post it up i'll edit the main track with the new info on it. I'm glad to see people showing interest in this thing.